Dr. Bryan earned his undergraduate Bachelor of Science degree in Biochemistry from the University of Texas at Austin and his doctoral degree from Louisiana State University School of Medicine in Shreveport where he was the recipient of the Dean’s Award for Excellence in Research. He pursued his post-doctoral training as a Kirschstein Fellow at Boston University School of Medicine in the Whitaker Cardiovascular Institute. After a two year post-doctoral fellowship, in 2006 Dr. Bryan was recruited to join faculty at the University of Texas Health Science Center at Houston by Ferid Murad, M.D., Ph.D., 1998 Nobel Laureate in Medicine or Physiology. During his tenure as faculty and independent investigator at UT, his research focused on drug discovery through screening natural product libraries for active compounds. His nine years at UT led to several discoveries which have resulted in eight issued US and international patents and nine pending worldwide. Specifically, Dr. Bryan was the first to describe nitrite and nitrate as indispensable nutrients required for optimal cardiovascular health. He was the first to demonstrate and discover an endocrine function of nitric oxide via the formation of S-nitrosoglutathione and inorganic nitrite. Through the drug discovery program in natural product chemistry, Dr. Bryan discovered unique compositions of matter than can be used to safely and effectively generate and restore nitric oxide in humans. This technology is now validated in six published clinical trials and Dr. Bryan has 9 issued US and International patents. He is also a successful entrepreneur who has successfully commercialized his nitric oxide technology through a UT portfolio company, named to the Inc 5000 fastest growing companies in the US for the past 3 years straight. Dr. Bryan has been involved in nitric oxide research for the past 16 years and has made many seminal discoveries in the field. These discoveries and findings have transformed the development of safe and effective functional bioactive natural products in the treatment and prevention of human disease and may provide the basis for new preventive or therapeutic strategies in many chronic diseases. Dr. Bryan has published a number of highly cited papers and authored or edited 5 books. He is an international leader in molecular medicine and nitric oxide biochemistry. Dr. Sean (Xuguang) Li received his medical degree in Suzhou, China, followed by a graduate study training period in medical research in Beijing. He obtained his PhD from McGill University under the supervision of Prof Mark Wainberg and was a Research Fellow at the Dana Farber Cancer Institute of Harvard Medical School with Dr. Wayne Marasco. Currently, Dr. Li is a Senior Scientist at Health Canada, while serving as an Adjunct Professor at BMI and a member of Faculty of the Graduate and Postdoctoral Studies, University of Ottawa. Dr. Ruiz-Gómez, MSc PhD is currently associate professor of Radiobiology and Biomechanics in the Radiology and Physical Medicine Department at University of Málaga, Spain. He is also Director of the Radiobiology Laboratory, www.radiobiologia.uma.es. He has to his credit numerous publications in international journals having h-index: 9 and 221 citations. Prof. Dr. Werner Lubitz holds an MSc and a PhD in Microbiology and Genetics from the Technical University of Munich, Germany. He obtained his postdoctoral training at the Universities of Lausanne and Basel, Switzerland; Uppsala, Sweden; Victoria, Canada and at the Max Planck Institute for Psychiatry, Munich, Germany. Dr. Lubitz was an Associate Professor of Microbiology at the University of Kaiserslautern, Germany and Associate Professor of Genetics at the University of Munich, Germany. Since 1987, he has been a Full Professor at the University of Vienna, Austria, first at the Institute of Microbiology and Genetics, and recently at the Department of Medicinal Chemistry. Werner Lubitz has published more than 200 papers in internationally peer-reviewed journals. As inventor of the Bacterial Ghost Platform Technology he holds an extensive international patent portfolio. 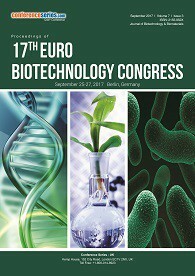 In 1998, Dr. Lubitz founded the biotech company BIRD-C in Vienna. Prof. Dr. Marcoaurelio Almenara Rodrigues has Bachelor Degree in Industrial Chemistry from Catholic Pontifical University of Rio de Janeiro, Master’s and Doctorate degrees at Biochemistry (Photosynthesis) from Federal University of Rio de Janeiro and King’s College London (Sandwich Doctorate). Has experience in Biochemistry, Photosynthesis, and Photoinhibition, Plant Biotechnology, acting on the following subjects: Chemical Education, Biochemistry, Green algae, Photosynthesis of Chlorella, Biomass processing, Biorefinery, Ethanol of the third generation. Recently was engaged in a post-doctoral training in algal and lignocellulosic biomass processing at the National Laboratory of Energy and Geology, Lisbon, Portugal. Deng Zixin, a professor on microbiology at School of Life Science and Biotechnology, Shanghai Jiaotong University. He is the head of the School of Life Sciences & Biotechnology, and the head of the State Key Laboratory of Microbial Metabolism Shanghai Jiaotong University, Shanghai, China. He is a Member of Chinese Academy of Sciences, a Fellow of the Science Academy for the Developing World (formally the Third World Academy of Sciences, TWAS), and a fellow of American Academy of Microbiology. He and his colleagues have developed efficient gene cloning systems for several important antibiotics producers (notably polyene, polyether and aminoglycoside classes for medical, agricultural and veterinary uses), leading to the cloning and detailed demonstration of their biosynthetic pathways and regulatory mechanisms. He and his collaborators also worked extensively on an unusual DNA modification system by sulphur (S) in widespread bacteria of variable origin and diverse habitat. This study revealed a first DNA modification into DNA backbone to form phosphorothioate, which seemed to have opened up a fascinating new field of research with potential relevance to the understanding of interesting physiological function(s) within the context of a wide-spectrum of life systems. Gassan Hodaifa Meri Food Engineer (Albaath University, Syria), Chemical Engineer (Granada University, Spain) and Dr. by University of Jaén (Spain) in the Doctoral Program: Biotechnology and Agricultural Engineering. His research began in the year 1997 with a Doctoral Scholarship to perform in Spain, has joined to the research group “Bioprocesses TEP-138” (Government of Andalusia) and he work in the investigation lines of Biotechnology of Microalgae, Industrial and Urban Wastewater Treatment, Chemical Oxidation, Membrane Technology, Adsorption processes, Pesticides Removal, and Biotechnology of Enzymes. Biotechnology of microalgae is of great interest to the industry as a source of food, biofuels, pharmaceutical production, application in bioremediation, CO2 sequestration (greenhouse effect) ... After the experimental part of his Doctoral Thesis (2002) he worked with the group “Chemical Processes and Agri-Food Technology TEP-807” (Government of Andalusia), to develop a new technology for olive oil mill wastewaters (from two-phase decanting process) treatment. Currently participates in developing a new line of research entitled “Nematode biomass production in bioreactors” in collaboration with the Genetics area of Pablo de Olavide University. Participated in 17 research projects (European, National, regional, and with companies), with which it has signed several contracts for research. As a result of this research activities has been published 40 articles in journals included in SCI, 1 patent, 2 books, 19 book chapters, and has participated in 73 Congress are most international first class in scope. He has designed, installed and automated Industrial Pilot Plant of Wastewater Treatment for olive-oil mill wastewaters from two phase decanting process with daily treated water capacity 3-5 m3/h. It has been repeatedly Associate Professor (University of Jaén), and Assistant Professor at the University of Jaén (05/06) and the Complutense University of Madrid (06/09). Now he works at Pablo de Olavide University, Seville (Spain) in the Molecular Biology and Biochemical Engineering Department/Chemical Engineering Area as Lecturer. The main objective of this research program is to develop a cutting-edge and sustainable biotechnological approach to municipal and industrial wastewater treatment and environmental protection by the aerobic granulation process. The novel technology generates many benefits, including low capital and operational costs, significant reductions of the reactor volume and land space requirements, high resilience to toxic chemicals, high effluent quality and low sludge production. The studies cover aspects ranging from fundamental scientific research, the translation of research results, and further development of applicable technology for the industry. Dr.María Eugenia Hidalgo-Lara research line is focused on the search for microorganisms that have enzymes that degrade organic matter such as: cellulases, xylanases, ligninolytic enzymes, esterases, tanases, invertases, among others. Dr. M. Asraful Alam was graduated from the Biotechnology and Genetic Engineering faculty of University of Development Alternative, Bangladesh and started his PhD research on microalgae biotechnology for biofuel production with Chinese Government Scholarship. Mr. Alam achieved his PhD in Biochemical Engineering, in January 2015, from Dalian University of Technology, China and received his research position as Post Doctorate Research Fellow & Research Associate with Guangzhou Institute of Energy Conversion-Chinese Academy of Sciences, China. His research focuses on the development of low cost bioflocculation based techniques to make algae biotechnology feasible for biofuels and other commodity applications. Currently, Alam investigates the interplay between algal biology and flocculation for biomass harvesting and lipid extraction. He is also a prolific writer of science topics and research results, which have been published in a regular newspaper and SCI Journals and received huge attention from biofuel and algae stakeholders. Professor Hanan I. Malkawi is the Vice President for Science Engagement in Royal Scientific Society, Jordan. Biodiversity, Microbial/Molecular Ecology & Evolution, Symbiosis. Dr. Zhao’s current research interest focus on the functional analysis and expression regulation of key enzyme genes involved in maize raffinose metabolism pathway. His research goal is to increase drought stress tolerance and seed vigor of maize by regulation of maize raffinose metabolism pathway using both classic and biotechnology approaches. Dr. Francisco L. Deive is Professor in University of Vigo, Spain. Dr Guillaume Pavlovic is the Head of the Genetic Engineering and Model Validation Department at PHENOMIN - ICS. He is in charge of the generation and validation of genetically mouse and rat models for academic laboratories, European consortia and pharmaceutical or biotech companies. He leads R&D programmes focusing on the development of new tools for genetic engineering and microbiota analyses, and is an expert in genetics and genome editing including the CRISPR/Cas system. After a PhD in 2004, about bacterial mobile elements evolution, Guillaume Pavlovic worked at genOway, one of the leader company in the generation of customized and ready-to-use genetically modified mouse and rat models to develop the molecular biology activity. He joined PHENOMIN-ICS (former Institut Clinique de la Souris) in 2007 as project manager in charge of the mouse model projects of its main industrial customers and was appointed at his present position in 2008. Petr Maly is the Head of Laboratory of Ligand Engineering at the Institute of Biotechnology, Czech Academy of Sciences in Vestec near Prague, Czech Republic. He has studied at the Department of Biochemistry, Faculty of Science, Charles University in Prague and completed his Doctorate at the Institute of Molecular Genetics, ASCR in Prague. He has completed his Postdoctoral fellowship at the Department of Pathology and Howard Hughes Medical Institute, The University of Michigan Medical School, USA, in the laboratory of Professor John B. Lowe where he has published several substantial papers related to in vivo role of mammalian glycosyltransferases. Since 1998 to 2005 he was a Research Group Leader at the Institute of Molecular Genetics in Prague. He has also worked as Visiting Scientist at the Department of Biochemistry and Molecular Biology of Oklahoma Center for Medical Glycobiology, College of Medicine, the University of Oklahoma, USA. He was a Participating Investigator of Consortium for Functional Glycomics, USA (2001-2008) and Member of Editorial Board (2001-2005) and Editor (since 2003) of the Czech Journal “Biologicke listy”. Since 2008, he has been working on development of combinatorial protein libraries derived from small protein scaffolds and construction of novel high-affinity protein binders with therapeutic and diagnostic potential. Dr. S. Paramithiotis is the Associate Professor in Department of Food Science and Human Nutrition in Agricultural University of Athens, Greece. Dr. Alok Prasad Das is the Assistant Professor in Tripura Central University, India. Jai S. Ghosh did his Ph.D. from the University of Pune. He did his M.Sc from University of Pune and did his B.Sc. from the University of Pune in 1977. Francisco Torrens is lecturer in physical chemistry at the Universitat de València. After obtaining a PhD in molecular associations in azines and macrocycles from the Universitat de València, Dr. Torrens undertook postdoctoral research with Professor Rivail at the Université de Nancy I. More recently, Dr. Torrens has collaborated on projects with Professors Tomás-Vert, Salgado and Castellano. Major research projects include characterization of the electronic structure of electrically conductive organic materials, theoretical study of new electrically conductive organic materials, protein modelling, electronic correlation, development and applications of high-precision mono and multi referential electronic correlation methods, development and application of high-precision quantum methods, methodological developments and applications of quantum methods, molecular modelling and chemistry-computer applications for the description and prediction of molecular properties, development and integration of a computational system for the discovery of active drugs against AIDS, cancer pandemics and other microbial diseases of high social impact, starting an electronic journal of scientific-technological and gender spreading, computational design, chemical obtaining and biological evaluation of new antiprotozoal and anticancer drugs, prediction of the environmental impact of chemical substances using chemobioinformatics tools, discovery of new inhibitors of tyrosinase: computational design, synthesis, characterization and experimental corroboration, search for new antimicrobial agents that inhibit the synthesis of the bacterial cell wall, minimal active domains of proteins of the Bcl 2 family, development and application of quantum chemistry methods and techniques to studies of drugs, analysis of pores of BAX at nanometric scale and study of the in vivo antioxidant capacity of phenolic compounds through QSAR/QSPR modelling: crossing of the blood-brain barrier and interactions with cytochromes and drugs. His scientific accomplishments include the first implementation in a computer at the Universitat de València of a program for the elucidation of crystallographic structures and the construction of the first computational-chemistry program adapted to a vector-facility supercomputer in a Spanish university. BSc, Universitat de València, 1984, MSc, 1987, PhD, 1990, PhD talent prize, 1991, PhD grant, 1987 91, 91 congress organizations, editor-in-chief of Meeting in Science, Technology, Education and Gender, Advanced Science and Technology and Global Journal of Cancer Therapy, 80 scientific societies (European Food Safety Authority, etc. ), 27 research projects, 7 visitor-professor responsible, assistant professor U. V., 1990-95, chargé de recherche C.N.R.S., 1991, lecturer U. V., 1995-present, Head of the Research Group Molecular Modelling, Computer-Aided Drug Design and Development of the Research Unit Theoretical Chemistry of the Institut Universitari de Ciència Molecular, 2 books, 396 articles, 1733 presentations. Advisor of 4 Ph. D. and 1 M. Sc. Theoretical chemistry, Physical chemistry, Mathematical chemistry, Computational chemistry, Molecular modelling, simulation and design, Computer-aided drug design and development, Molecular graphics and representation of molecular properties. She is working as an Assistant Professor at the Institute of Biology, College of Science, University of the Philippines. She completed her PhD in Genetics minor Plant Pathology, UPLB, Philippines and MSc in Genetics minor Microbiology, UPLB, Philippines. She later did post-doctoral fellowship in International Rice Research Institute (IRRI). She also worked as a project manager at HarvestPlus. Micronutrient breeding, Genetics, minor Plant Pathology, Cell Biology, Agriculture Biotechnology, Plant Genomics. Innovative Research Group, Dr Marun Lin, a researcher. 1982 Bachelor of Shihezi University, 1987 Master of the University of Minnesota, 1991 Kansas State University Ph.D., postdoctoral research in molecular genetics at the University of Illinois 1992-1996 do, from the University of Illinois in 1997 Renyi Li (UIUC ) Research Assistant Professor, School of Medicine, 1999, he was appointed a research assistant professor at the University of Cincinnati Lahti, selected Chinese Academy of Sciences "Hundred talents" 2001 national outstanding Youth Fund, 2004 selected the first batch of the new century "millions" talent national candidate 2009 became the State Council issued a special government allowances of experts. SCI has published more than 50 research papers in international academic journals in English. I am a Plant Ecologist who joined the UAEU back in 2002. Before which I worked as a Research Scientist for the Australian Government (QDPI). I earned my Ph.D. from Texas Tech University (1997) and my MSc & BSc from New Mexico State University (1994 and 1989; respectively). My research work centers around "Sustainable Management of Desert Ecosystems". I am focusing on the impact of CO2 enrichment on desert plants and the potentials for soil Carbon sequestrations in our environment. The vast array of the uses of desert plants (eg. landscaping; medicinal) is also one of my research interests. Professor Abul Mandal has completed his PhD at the age of 30 years from University of Agriculture in Cracow, Poland and postdoctoral studies from University of Stockholm, Sweden. In 2010 Mandal was appointed as a Professor of Molecular Biology at the System Biology Research Center of the University of Skövde, Sweden. Currently, he is heading the Biotechnology Research Group at this University. He also function as the Academic Coordinator of the School of Bioscience. Until today, Prof. Mandal has three patents that have already been granted by the United States Patent and Trademark Office (USPTO in the USA and one PCT patent that has been granted by the Patent Office in India. He has also published more than 100 papers in reputed peer reviewed journals. Since 2010 Prof. Mandal has been serving as an editorial board member of several scientific journals. Juliana Santana graduated in Biotechnology at Universidade Federal de Uberlândia, in which she did two scientific initiations. From scientific initiations she had published two scientific papers. Her master in Bioprocesses and Biotechnology Engineering was iniciated in the year of 2015 at Univesidade Federal de Paraná. Heinz Roland Jakobi was born in Natural Curitiba - Parana, graduated from the Federal University of Parana, postgraduate Student of the Institute of Biological Sciences, University of Sao Paulo [ICB/USP], in the Human Brucellosis research line. Doctor of Health Sciences at UNB. Professor of Saint Luke School. Former President of the National Association of Occupational Medicine Sectional Rondonia. Founding President of the Association of Gynecology and Obstetrics of Rondonia, the Spiritist Medical Association of Rondonia, Founding Member of Rondoniense Academy of Letters. Former Treasurer of Rondonia Regional Medical Council. Member of the Academy of Medicine of Rondonia and Rondonia Academy of Letters. Epidemiologic Studies, Epidemiological Analysis, Medical Statistics, Epidemiological Statistics, Infectious Disease Epidemiology, Cohort Studies Clinical Epidemiology, Case-Control Studies Statistical Analysis, Observational Studies. Dr. Carlos Prudencio has completed his PhD from Federal University of Uberlândia and postdoctoral studies from University of São Paulo and Universidad Castilla-la Mancha (Spain). He is the coordinator of Immunotechnology Lab of the Center of Immunology at Adolfo Lutz Institute, Secretary of Health of São Paulo State, a Public Health institute with mission focused in research, epidemiological, sanitary and environmental surveillance in São Paulo State. Member of the Post-graduation program (CAPES) devoted to Applied Health Sciences. He has published papers in reputed journals and also has been serving as an editorial board member of repute. He is inventor holding eight patents related to the field of biotechnology of vaccines and diagnosis with expertise in innovation management and technological transfer focused in Health. His research is focused in high-throughput approaches based in phage display technology applied to study host-pathogen interactions and the discovery of targets to develop new diagnosis, drugs and vaccines of interest to Public Health. Glaucia Pereira is a Principal Investigator in machine learning and bioinformatics at the Icelandic Institute for Intelligent Machines. She is a former member of Imperial College London and a past researcher visitor at the University of Cambridge, where she worked with microfluidics and computational bio-fluid mechanics applied to cardiovascular inflammation. Glaucia Pereira also worked for both the Spanish and the Brazilian government, as a researcher. She is currently applying knowledge from biomedical engineering, mathematics, and computational systems engineering, while leading projects in the field of biotechnology, aiming at advancing knowledge in basic sciences and translational biomedicine. Professor Christopher Franco's research career combines both the industrial and academic spheres. For 10 years he lead a successful drug discovery and development group in an International biopharmaceutical company and holds patents for 11 compound families. In 1993, he joined the School of Medicine, as a founding academic in the Biotechnology Program. 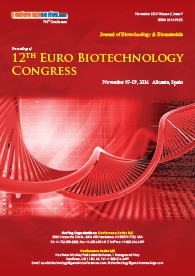 Now Head, Medical Biotechnology, he manages the Biotechnology teaching and research programs. He is Australia's leading actinobacteriologist and continues to discover novel actinobacteria and new bioactives from algae, plant cell culture, mammalian cells and marine organisms. He pioneered the isolation and application of actinobacterial endopytes for sustainable crop production and leads GRDC's multi-insitutional Benficial Microbes Project. He has extensive international experience, workng in the UK, Germany, India, Indonesia, Singapore and China. As International Dean, Faculty of Health Sciences and School of Medicine, he manages the Faculty's international collaborations. He collaborates with researchers in Asia, Europe and N. America. Nikolai Zhelev is professor of medical biotechnology and director of CMCBR atAbertay University, Dundee, Scotland. He is also honorary professor in eight universities in UK, China and Bulgaria. Prof.Zhelev has been involved in founding four start-up biotech companies and has worked as head of the departments of Biochemistry, Cell Biology and Proteomics in Cyclacel Pharmaceuticals Inc. Professor Zhelev has published three books in the field of systems biology, cancer research and treatment, DNA damage and repair as well as papers in high impact journals, including Nature Medicine, with more than 1000 citations. ANA CLARA GUERRINI SCHENBERG completed her PhD in Biological Sciences at the Université de Paris-Sud, France; Postdoctoral Fellow (Biotechnology), University of Manchester Institute of Science and Technology, Manchester, UK; Postdoctoral Fellow (Molecular Genetics), Australian National University/Research School of Biological Sciences, Canberra, Australia. Presently, she is Senior Professor of the Microbiology Department of the University of São Paulo, São Paulo, Brazil. She conducts biotechnology research on yeast and bacteria, with a view to generating improved strains for various applications, including biomedical products, alcohol production, production of biodegradable plastics, and bioremediation of toxic metals from effluents. She has published 38 papers in reputed journals. 1. Genetic Engineering of Yeast. 2. Biotechnology. Abdelaziz Tlili is currently working in Department of Applied Biology/Biotechnology Program College of Sciences, University of Sharjah, United Arab Emirates. His international experience includes various programs, contributions and participation in different countries for diverse fields of study. His research interests reflect a wide range of publications in various national and international journals. Skills: Gene localization and identification, cDNA cloning and protein tagging, genetic Linkage, Cell culture, Cell Transfection, protein extraction, Familial genealogy for disease tracing and gene localization, confocal microscopy, scanning electron microscopy, PCR, Sequencing. Health Biotechnology, Genetic of monogenic diseases, genetic biomarkers, Bioinformatics, Hereditary Hearing Loss diseases, Pyridoxine-dependant epilepsies, Human molecular genetics, Molecular diagnostics. Professor Alexander A. Kamnev is a Leading Scientist at the Institute of Biochemistry and Physiology of Plants and Microorganisms, Russian Academy of Sciences (Saratov, Russia). His current research has been focused on the application of spectroscopic techniques in studying biomolecules, biocomplexes, supramolecular structures and microbial cells; spectroscopic detection of biospecific interactions using functionalized plasmonic nanoparticles; bioanalytical applications of vibrational (FTIR, Raman) and Mössbauer (nuclear gamma-resonance) spectroscopies. Professor Kamnev has published over a hundred papers in peer-refereed international journals and has been regularly involved in refereeing manuscripts for many scientific journals published by Elsevier, Springer, Wiley, RSC, ACS, etc. Development and applications of novel spectroscopic and nuclearchemistry approaches in biochemical and microbiological research. Candidate of Physics and Mathematical Sciences, Associate Professor, Marina Vladimirovna FRONTASYEVA is a graduate of the Department of theoretical and experimental nuclear physics, physical faculty, Saratov State University. Since 1970 she has been working at the Joint Institute for Nuclear Research, Dubna, first in the Laboratory of Nuclear Problems and since 1977 in the Frank Laboratory of Neutron Physics in the field of instrumental neutron activation analysis (INAA). M.V. Frontasyeva is one of the founders of the radioanalytical complex REGATA at the reactor IBR-2 designed for studies in the Life Sciences and Material Science. Since 1997 she is the Head of the Department of NAA at FLNP JINR combining her activities with lecturing on nuclear methods for studying the environment at the Department of Chemistry of the International University of Nature, Society and Man of Dubna. She is leader of numerous international projects co-ordinated by the International Atomic Energy Agency (IAEA, Vienna) and by the European Union Frame Programmes. She is a holder of several grants for environmental studies from the JINR member-states mostly connected with studies on biomonitoring trace element deposition based on moss analysis. The results of these investigations in Central Russia, Bulgaria, Romania, Poland, Ukraine, Slovakia, as well as in Serbia and Montenegro, Bosnia, Macedonia, Croatia, Turkey (European Thrace Region) are presented in the Atlas on Heavy Metal Atmospheric Deposition in Europe edited under the auspices of the United Nations. Since 1994 M.V. Frontasyeva is a Scientific Secretary of the Scientific Council on Applied Nuclear Physics of the Russian Academy of Sciences. In 1997 she was elected to the International Committee on Activation Analysis (ICAA). M.V. Frontasyeva is the author and co-author of more than 300 scientific publications in refereed journals, two books and two patents of Russian Federation. Dr. Muhammad Mukhtar, PhD recently joined the Department of Biotechnology as Professor of Biotechnology and Chairman of the Department. Prior to his arrival at AURAK he was serving as Vice Chancellor/Professor of three Universities in Pakistan concomitantly a unique honor for any academic leader. He received his Master and M.Phil in the field of Biochemistry from Pakistan and PhD in biosciences from the Drexel University of Philadelphia, USA. He served at various academic/administrative positions in the USA on an outstanding scientist (O-1) visa. Professor Mukhtar laboratory developed an in-vitro model of human blood-brain barrier to study viral neuropathogenesis, and with Dr. Mukhtar as Principal or Co-Investigator, has received several awards from organizations including American Diabetes Association, American Society for Microbiology, Diabetes Trust Foundation, US National Institutes of Health, Pfizer Pharmaceuticals, and the Higher Education Commission of Pakistan. Furthermore, human blood brain barrier developed in his laboratory is extensively used to understand ferrying of viruses into the brain and finding cures for neurological ailments. Prof. Schwab studied food chemistry at the University of Würzburg and did his doctorate in 1989. Following a postdoctoral stay at Washington State University, he spent three years working in Hoechst AG’s agriculture division. He returned to the University of Würzburg to complete his lecturer qualification in 1999. He worked in research after that, notably at Plant Research International in Wageningen (the Netherlands) and the Spanish National Research Council (CSIC) in Seville (Spain). In 2003, he accepted a position at TUM. Prof. Schwab is a member of the BfR Committee for Genetically Modified Food and Feed. As part of his research, Prof. Schwab (b. 1961) isolates and identifies secondary plant substances and investigates their biosynthesis and metabolism. The goal is biotechnological production of natural products which, due to their technological or physiological effect, determine the quality of foodstuffs (e.g. as additives for “functional foods”). Dr. Guido Krupp (Ph.D.) is CEO and president of AmpTec GmbH. In 1981 he received his Ph.D. degree (WÃ¼rzburg University & Max-Planck-Institute Martinsried). From 1983 to 1987 he was post-doc at Yale University. From 1987 to 2002: research group leader at Kiel University. Founder of artus GmbH (year 1998) & AmpTec GmbH (year 2005). Research interests: nucleic acid technology with focus on RNA, plant pathogens (viroids), ribozymes and telomerase. More than 60 publications, editor of Ribozyme Biochemistry & Biotechnology, and of Telomeres, Telomerases & Cancer, in the editorial board of Biotechnology Annual Review; SAB member of Orthogenics AS, Tromso, Norway. Nucleic acid technology with focus on RNA, plant pathogens (viroids), ribozymes and telomerase. Prof. Fuad Fares has completed his D.Sc studies at the Faculty of Medicine, Technion-Israel Institute of Technology, and postdoctoral studiesat the Department of Molecular Biology and Pharmacology, School of Medicine, Washington University, St. Louis Missouri. He is the director of the Department of Molecular Genetics at Carmel Medical Center and associated professor at the Department of Human Biology, University of Haifa. He has published more than 75 papers in reputed journals and serving as a member of the Israel Council for Higher Education. He is the inventor of designing long-acting recombinant proteins and the initiator of PROLOR Biotech company.